Harness the power of Thanos! Extremely detailed 1:1.5 scale Infinity Gauntlet replica. Lights up and dims at the rhythm of breathing! The meteor base makes this a centerpiece for your collection. 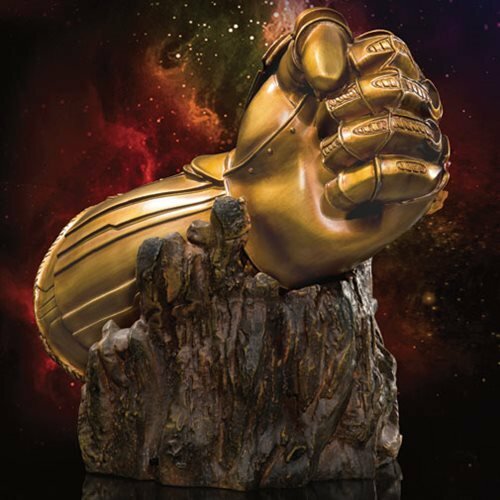 Beast Kingdom joins Marvel to offer this Avengers: Infinity War Infinity Gauntlet MC-004 Replica Statue - Previews Exclusive. The stunning 1:1.5 scale resin Infinity Gauntlet replica features extremely detailed sculpt and paintwork, with metallic details and transparent parts for the gems for an authentic appearance. 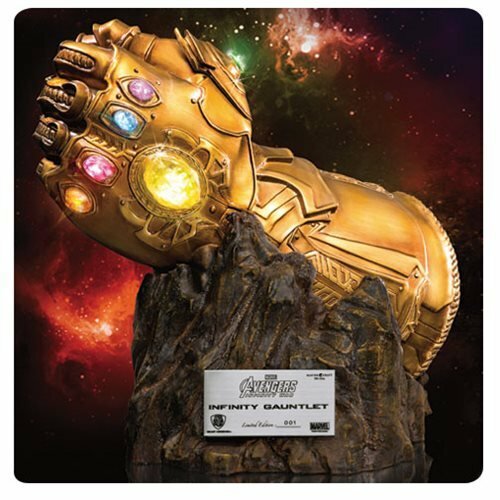 It boasts a built-in LED that lights up and dims at the rhythm of breathing, and it includes a sculpted meteor display base to make this the perfect centerpiece for any Avengers collection! Individually numbered, the piece comes with a certificate. 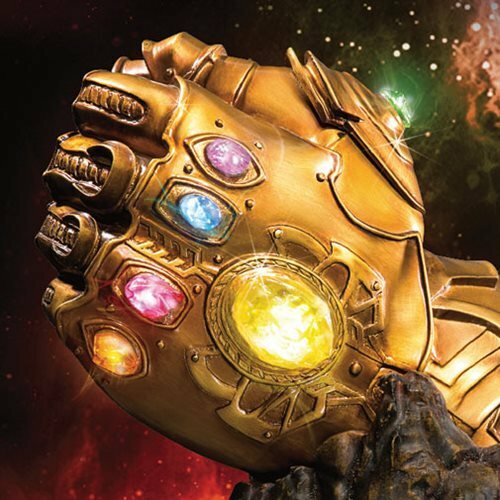 Please note that the Infinity Gauntlet cannot be removed from the base and cannot be worn. Ages 15 and up. An unprecedented cinematic journey, ten years in the making and spanning the entire Marvel Cinematic Universe, Marvel's Avengers: Infinity War brings to the screen the ultimate, deadliest showdown of all time.